This is the Urgent Appeal to Pope Francis to change course or renounce the Petrine Office. Thousands of people (including yours truly) have signed it. It is extensively footnoted and linked (blue type = a link). I will post your petition on the Remnant website. You, Michael Matt and Chris Ferrara should put your heads together and come up with a grand slam proposal here. We need to stick together! "A pope who is a manifest heretic automatically (per se) ceases to be pope and head, just as he ceases automatically to be a Christian and a member of the Church. Wherefore, he can be judged and punished by the Church. This is the teaching of all the ancient Fathers who teach that manifest heretics immediately lose all jurisdiction" (St. Robert Cardinal Bellarmine, De Romano Pontifice. II.30. 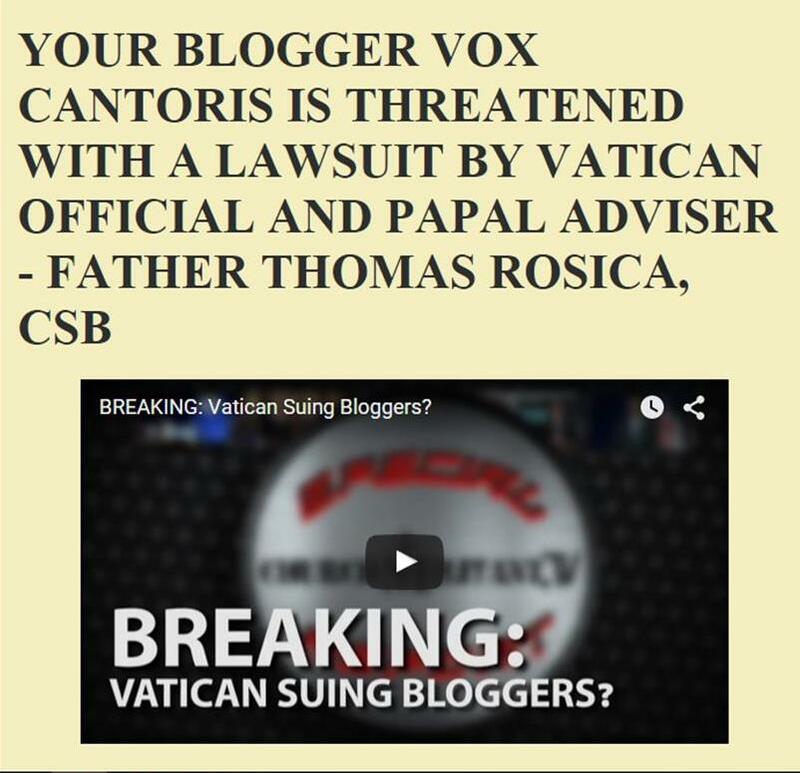 Vox, should the Cardinals dare to move against His Holiness Pope Francis, they would face a massive revolt from the laity. Pope Francis is beloved by the overwhelming majority of Catholics. That doesn't mean that the majority of Catholics obey the Church's/Pope's teachings. The majority don't in regard to assisting at Sunday Mass. That holds true also in regard to the Church's teachings on sexuality and Social issues. That said, the overwhelming majority of Catholics regard Pope Francis as a holy man whom they accept as Pope. The majority of Catholics would thrown in with Pope Francis should the Cardinals attempt to oppose His Holiness. Of course, there is not a chance that the Cardinals would do such a thing to Pope Francis. How many petitions have there been already? Is this the third? Seems like an act of desperation to me. At the end of the day, $$$$ Talks. GMUA, I don't know that we're talking about dollars. I believe that it simply a case of the majority of Catholics love His Holiness Pope Francis and would ignore a negative judgment by the Cardinals against Pope Francis. But before we'd ever reach that point, the hope that Pope Francis may be deposed is a pipe-dream. We are dealing with a petition/notion that interests a microscopic amount of Catholics. The petition will only discredit the Traditional Catholic Movement. A good many bishops and priests believe that those of us attached to the TLM and Holy Tradition are wackos. I am very sorry about that. But that is the image that many Churchmen have of us. We know that. The petition will only confirm said bishops and priests in their collective negative judgment of traditionalists. 1. Does not have any, any, any chance to succeed? 2. Will only serve to mark traditionalists as "wackos"? We would have been much better served to have instead launched a Rosary Crusade to pray for Holy Mother Church and Pope Francis.